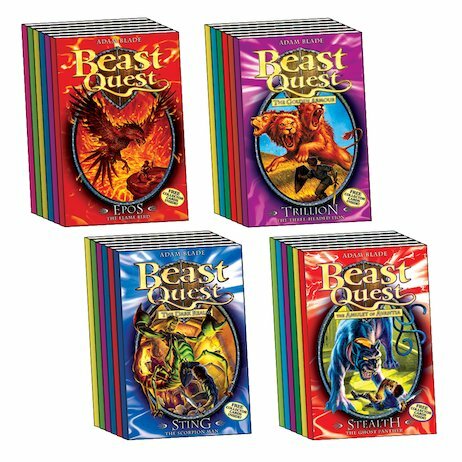 The ultimate pack of the ultimate quest – now with Series 4! A time of terror has come to Avantia. Evil wizard Malvel has enchanted its magical beasts. Now the creatures which used to protect the kingdom are destroying it. Avantia needs a hero – fast. As Tom marches into the jaws of death, do you have the courage and skill to stand at his side – whatever dangers he’ll face? 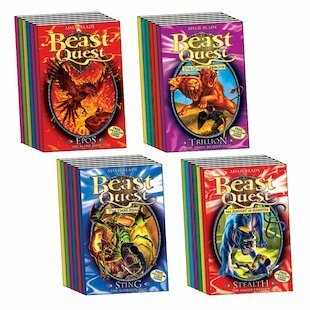 Containing every single book from the first four series, this bumper pack is stuffed with beasts and battles, at an unbelievable bargain price. Don’t miss your chance to be a hero and fight those beasts to the bitter end!